Is there any way to know if I'm gonna fight with the metal head walkers before I go into the battle? The mission screen gives you a little sneak peak on levels and types of walkers so you can better prepare to rock! Yes, I don't have a pic of the icon but it looks like a bullet glancing off of the head of a walker. Hmm, makes me wonder. I know it when I see it but don't remember the exact details. Edit: Found a pic. 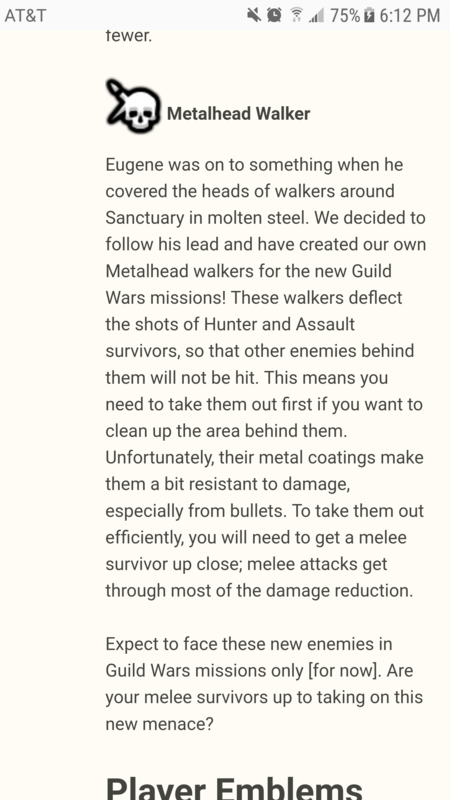 From description it makes sense that it's a bullet bouncing off of the metal coated head of the walker. You should see the symbol in the mission selection screen within an area/zone on the map.